Leaving a Legacy…Every family has a story to tell. You have memories and special things that you hold dear to your heart. In time, those stories can become distant or even forgotten. Using video to capture these special memories allows your family to reconnect with you in a way like never before. What if a parent doesn’t get to watch his or her child grow up? How do you think that child will feel when he or she is old enough to watch a video and actually see and hear that parent, instead of trying to imagine it from a photograph? These are priceless gifts. 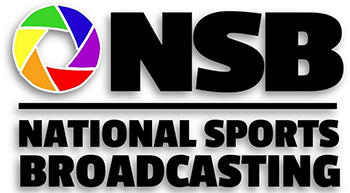 Life Story – National Sports Broadcasting wants to capture those memories and consolidate them into a professional and entertaining video. This not only preserves family heritage, but it brings you closer together and passes on these stories and traditions to future generations. What if you could have a way to know your grandparents, when other opportunities didn’t allow? Would you cherish that gift? Baby Story – This is one of most exciting and unique videos we offer, capturing the biggest moment in your family’s lives, your child’s birth! Take the traditional baby’s journal and give it a nostalgic touch. During the pregnancy, we will periodically get together with you and interview you both on the excitement and even obstacles in having a baby. It’s special to be able to combine pictures, video, and audio as a memorial to this once in a lifetime journey. Share what your hopes and dreams are for them. Contact us today about details and pricing in regards to these incredible gifts to your family.